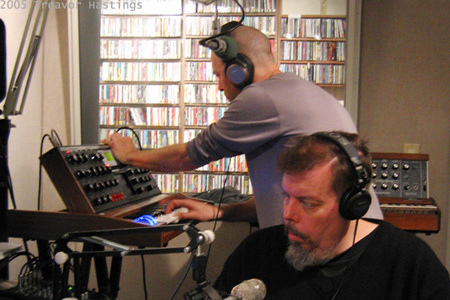 On Friday evening, May 19, starting at 7:00 PM EDST, musicians Jordan Rudess and Richard Lainhart will perform live in WDFHÃƒÂ¢Ã¢â€šÂ¬™s Studio 2. Join us for Moog Space Jam Part II, hosted by Treavor Hastings. Richard Lainhart and Jordan Rudess will be performing live, chatting, and bringing along some influential music from their own libraries for this three hour event. Jordan is a world-class pianist as well as a highly accomplished recording artist, composer, producer and performer, and has just completed a world tour as keyboardist with the progressive rock group Dream Theater. Richard Lainhart is an award winning composer, author, and filmmaker. 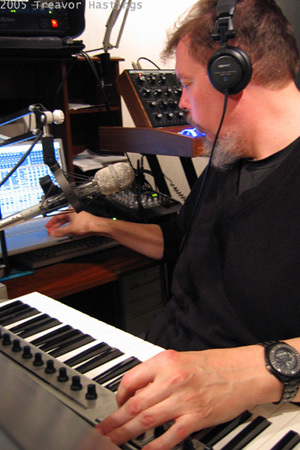 He is no stranger to the WDFH air waves and has performed his own solo compositions with us several times in the past. He and Jordan are coming back for their second round of Moog Space improvisation. Jordan will be performing on his vintage Moog Model D and Voyager MiniMoogs, and Richard will be playing Moog virtual instruments running on laptop and Muse Receptor. This is an event not to be missed! Tune in at WDFH-FM 90.3 in the Lower Hudson River Valley or online at WDFH.org. My friend and colleague Mike Gallant did an extensive feature story for Keyboard Magazine on Jordan and Dream Theater. Richard really deserves his own feature (here, perhaps); in the meantime, check out his site and hope he does bring his Kyma along to the NYC CDM meetup-in-planning (which we’ll also make virtual for our worldwide readers).